Ninjas! 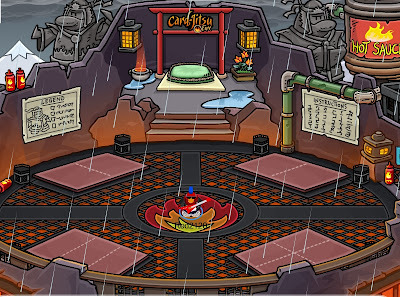 It looks like the water Dojo is coming really soon! Because ITS RAINING ON CLUB PENGUIN! 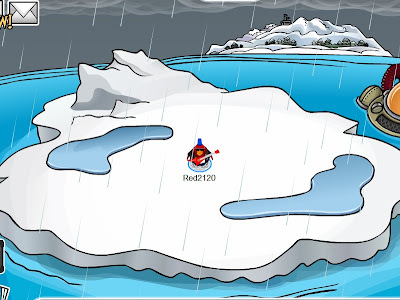 Have you noticed Club Penguin is trying to give us the message that "Water beats fire"? Check out pictures telling us this! 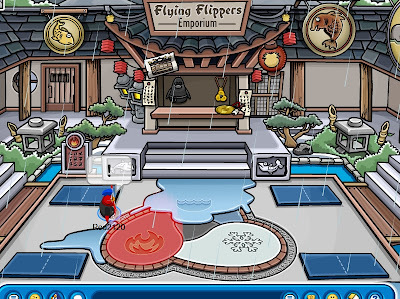 Now waddle over to the Ninja Hide out! 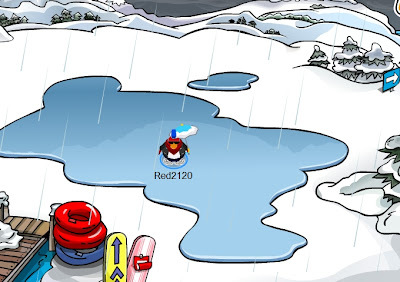 Check out the water symbol on the ground! Now isn't that weird that the water completely covers the water sign on the floor but yet you can still see the water symbol! 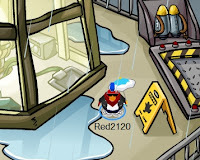 The Club Penguin Times states that the water is not doing any damage to Club Penguin at all! 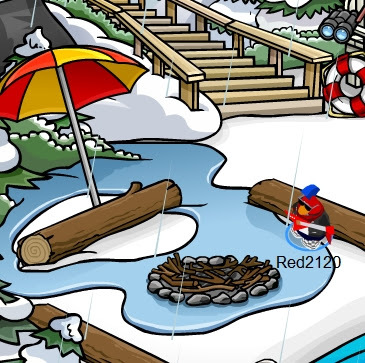 You better hurry up to the gift shop because the umbrellas are running out! Have fun with all the rain! But remember BE CAREFUL!